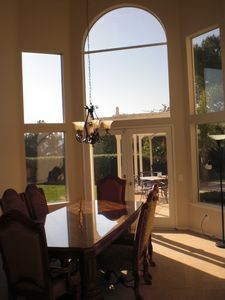 Private estate home near all of the desert valley's festivals and events!! 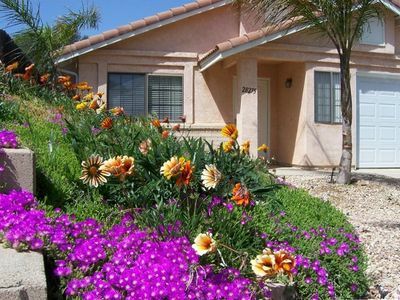 This beautiful Bermuda Dunes vacation home is perfectly situated on a large private gated lot. 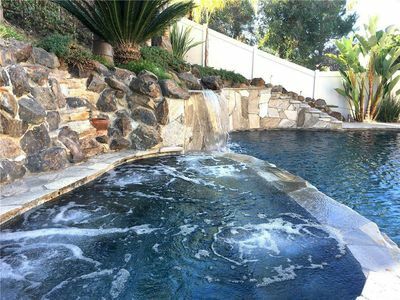 The large heated pool has a grotto with waterfall feature and integrated spa. The open floor plan of this Bermuda Dunes vacation rental home makes it perfect for entertaining. This home was built with indoor / outdoor living in mind - with a large open kitchen that flows into the great room and extends outside onto the backyard patio. 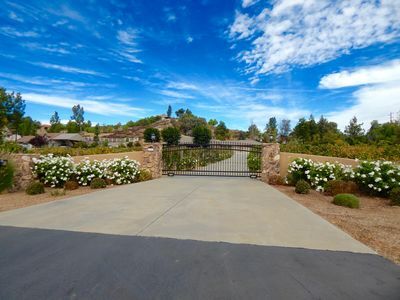 Outside, this vacation estate offers a sparkling private pool with elevated waterfall and spa. Relax on a lounge chair as you enjoy tranquil sound of the waterfall. 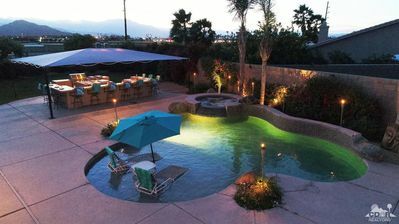 Also enjoy an outdoor kitchen with bar seating and a built in fire feature for evening enjoyment. 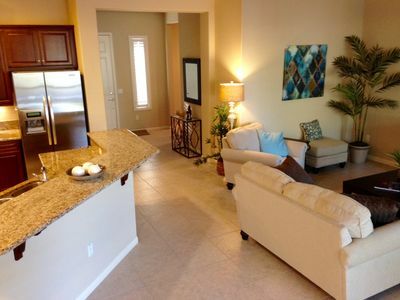 Enjoy preparing meals with family and friends on the gas grill, outdoor kitchen and dining under the stars. 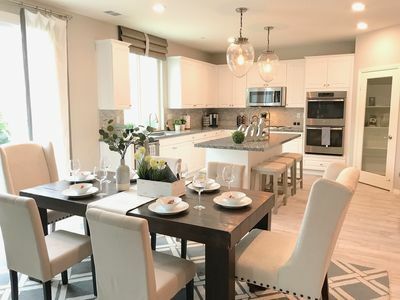 For the true chef in the group, this vacation home's kitchen if fully equipped with all the tools and appliances you'll need to prepare gourmet meals. 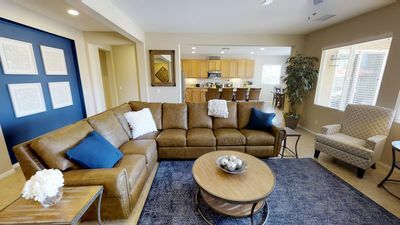 The sunny and bright living room in this Bermuda Dunes vacation rental is elegantly appointed with floor to ceiling wall of glass, comfortable sofas, TV and DVD player. 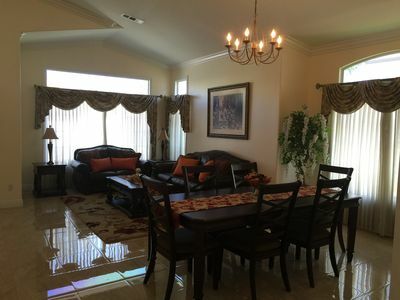 The master bedroom of this lovely Bermuda Dunes Estate for rent is stylish and comfortable with direct access to an outdoor courtyard an pool deck. The master bath is spacious and complete with a soaking tub, walk-in shower, dual sinks and a large walk-in closet. A second bedroom features a King size bed and shared bath. 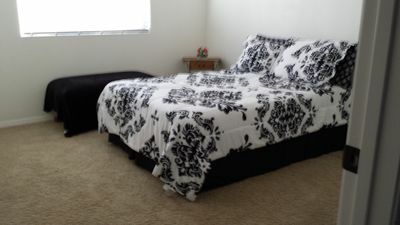 The third guest bedroom offers a Queen bed. The fouth bedroom has a Queen bed and direct access to the private courtyard pool deck. 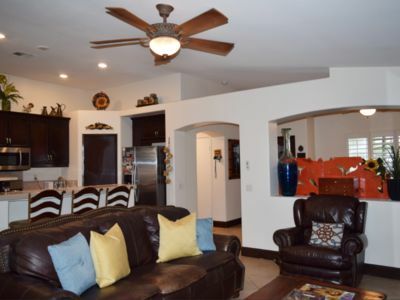 The fifth bedroom in located in separate casita with attach bath and kitchenette. 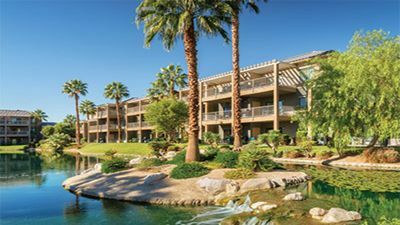 This remarkable Bermuda Dunes vacation home is convenient to many popular Palm Springs area events including the Humana Challenge Golf Tournament, the BNP Paribas Tennis Tournament, the Coachella Valley Music Festival, and equestrian events at the Empire Polo Fields. 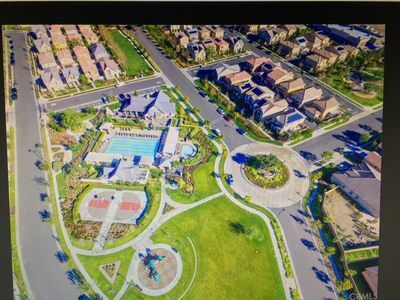 Inside The Laguna Seca Estates Neighborhood. WALKING DISTANCE TO WINERIES! SLEEP IN THE VINES! A master bedroom(sleeps - 2) with TV ,a ping pong and a pool and access to alot! NEW! 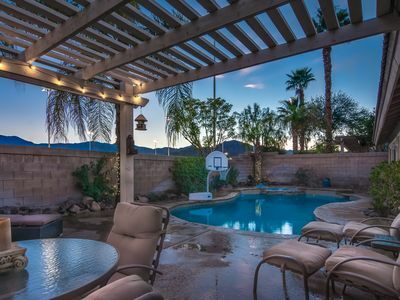 Indio Home w/ Private Pool - Walk to Polo! 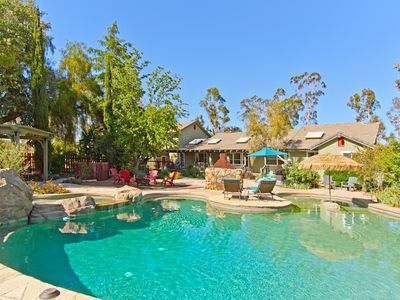 Walking Distance to Music Festival, Relaxing Backyard Oasis!